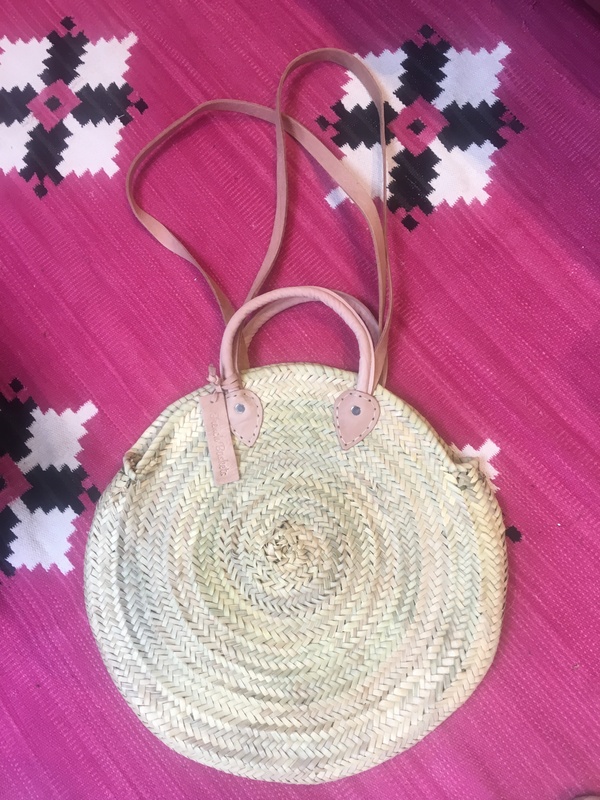 I have been lusting after a round basket bag ever since I saw Fran’s gorgeous bag in this photo below, but finding one with leather handles wasn’t easy. I have been trawling for weeks, but I finally found one last week, ordered it straight away and it arrived today. 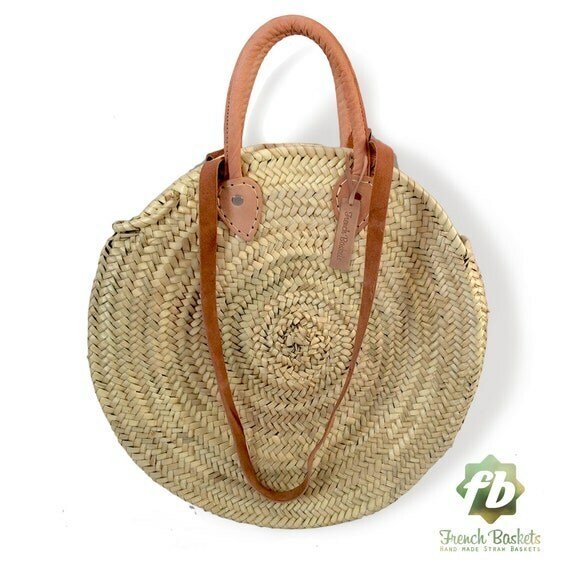 I had found many with short wicker handles, but really wanted one with both short and long leather handles so that I could pop it on my shoulder. Here is the link to the one I ordered from Etsy. I ordered it on the 3rd May and it arrived today,(8th) just five days later. The handles are not as dark as pictured below, but I think they will darken with use and I quite like the lighter colour. I am very happy with it, so I thought I would share the details with you. I got one in Morocco, which is where I think they mostly come from. It cost me about a fiver, which just goes to show what the mark-up is.